Some changes will be taking place on Channel 5’s satellite transmissions during November and December. The changes follow the removal of Channel 5’s advertising regions earlier this year. 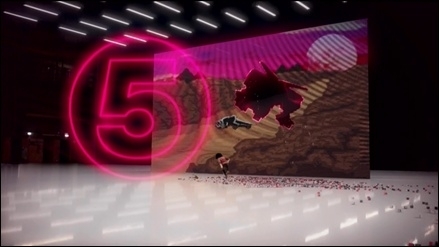 There has been just one national version of Channel 5 available since 1st August 2015, individual data streams linked to the old regions have remained in place. These are being removed, and all regions will be mapped to a single set of programme data, which will affect viewer recordings and series links on Sky. Sky is advising viewers to go to the Sky+ planner after the “relevant date” listed above, delete any scheduled recordings on Channel 5 and then go to Channel 5 in the programme guide (105 for SD customers and 171 for HD customers) and reselect the shows you’d like to record and reset any series links. Viewers in Central and southern England (not London) and Wales are not affected. That’s because the former regional variant for these areas now serves as the single national version of Channel 5, and viewers don’t need migrating. Channel 5+1 and Channel 5 HD are unaffected by the changes, regardless where you are in the UK. Freesat has not yet commented on how the changes might affect viewers with Freesat, Freesat’s programme data is broadcast alongside that of Sky.